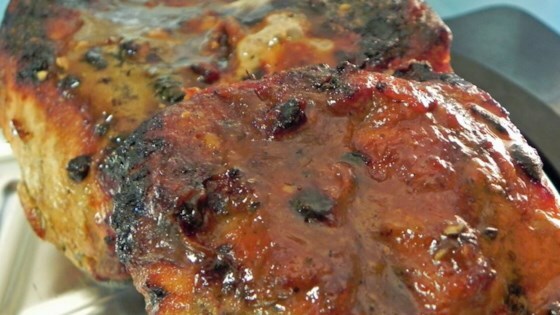 "This is a very simple, but very tasty marinade for pork tenderloin. My husband also likes it on Ribs. Can be served with any kind of potato, or rice and vegetable." In a shallow dish, combine soy sauce, teriyaki sauce, liquid smoke, onion powder and garlic powder. Quick and easy baked pork tenderloin. This is simple and good.I add 4Tbls. of olive oil and put marinade and pork into zip bag and refrigerate several hours.One half of recipe is enough for 2 1/2 # of tenderloin done this way. This was very good. I sometimes have a hard time with pork tenderloin on the grill because it drys out. This was moist and delicious. So Easy. Perfect! My son's friend asked me what it was cooked with and my son said that I definitely need to make this again. May be too much soy sauce for some, but my family loves it. Very nice-we grilled our tenderloin and it came out great. I added a little orange juice and some dijon mustard too.